Namsan Park is the largest park in Seoul attracting a lot of people who visit here to experience a little slice of nature in the middle of the urban city. What I like best about this park is the beauty of the season itself. The serenity of the place in one blissful morning is just so perfect for soul searching. 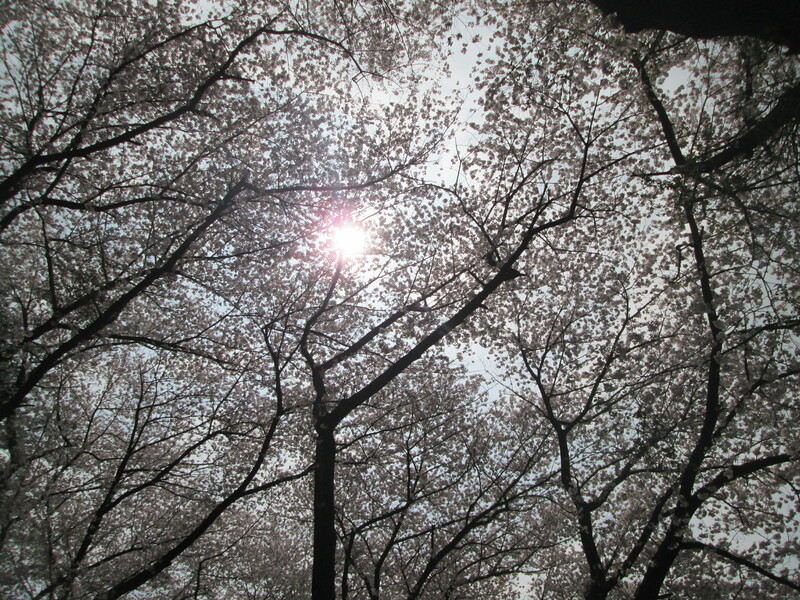 The Cherry Blossoms are so alluring and irresistible. To be honest, this itinerary was unplanned but I enjoyed it so much. I already visited Namsan Tower the other day with a friend but I didn’t know I would be led here again–but this time, it’s a DIFFERENT experience. I booked a 2-days stay in Aroha Guesthouse, two-minute walk from the Seoul Station. I really didn’t have any idea where it is exactly. Fortunately, I found out it is very accessible to most major tourist spots in Seoul. Although the staff assigned during my stay was not really accommodating and looked sooo dizzy. I didn’t bother much since I’d leave the place the next day anyway. I just needed a place to stay for the night. On that morning, I bravely, went out from the guesthouse and followed a path (I didn’t know where it would lead me to). At the intersection, there are several signposts. As I went up the hill, I saw locals–young and old– jogging or walking with someone, with their cute pets, while some were walking alone (just like me). 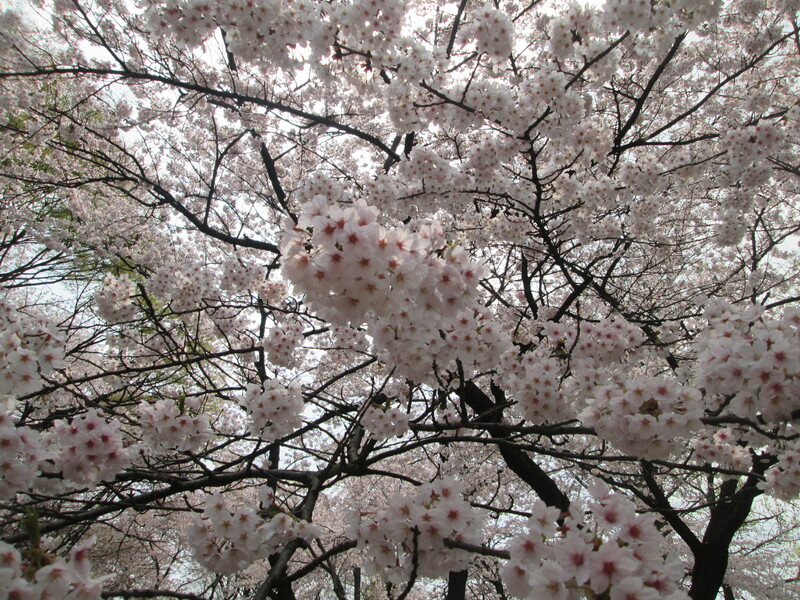 Everybody seems to be enjoying Sakura in full bloom. As I made my way up, I realized I haven’t really walked that far without any purpose 😀 Until it occurred to me that I really had to do some soul-searching because I had to ponder and decide on something MAJOR 💔 haha~. It was an incredibly meaningful ME-time.I didn’t even notice I already spent almost 4 hours touring the place/mountain/park 😀 Then I had to figure out my way back to the guesthouse. I didn’t actually recognized I got lost. All I knew is… I enjoyed my journey. Quick Tip: Don’t worry if you cannot understand Hangeul, English signposts on major spots are also available (especially in the city). 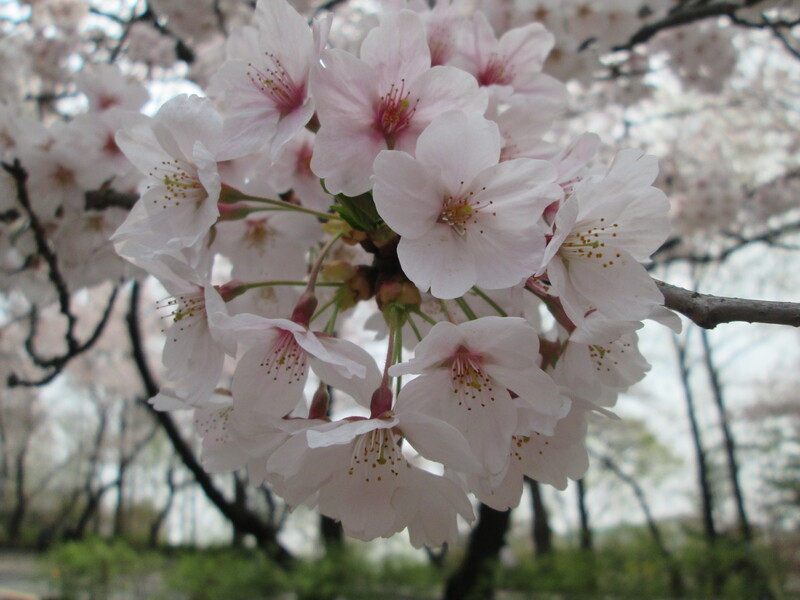 Yes, it’s also true that there’s nothing much you can see in the park apart from beautiful cherry blossoms trees.Others are just typical flowers of varying colors, herds of people, dating couples, statues, Namsan Tower, Locks, etc. But my ultimate point is.. if you have the chance, devote a day of your travel without any concrete itinerary. Screw the map and get lost for at least a day. BREAK FREE! IF you do this wholeheartedly, you’ll discover and understand what I mean. Quick Tip: Screw the map and get lost for a day. BREAK FREE! If you do this wholeheartedly, you’ll discover and understand what I mean. Although I do not recommend this for first-time travelers who have weak mind when it comes to taking the risks of traveling solo. It is by getting lost that you find yourself. There is a pedestrian walkway across the street from the Namsan Cable Car lower station. (+): Take memorable pictures with Cherry blossoms in the backgroundThe hike up the stairs to the base of N Seoul Tower takes at least 30 minutes. From the cable car station parking lot, turn left and walk for about 50 meters. The stairs are located across the street. The cable car is the easiest and most convenient way up to the N Seoul Tower. (+): No sweat, you’ll reach the top in few minutes.From Myeongdong Station go out of exit 3 and continue south on Toegye-ro 18-gil street. When you reach the Pacific Hotel, turn left onto Toegye-ro 20-gil street. When you see the Ministop, turn right onto Toegye-ro 20-na-gil street. At the end of the street is the lower cable car station. The ride only takes about three minutes to the top but you have to queue since there’s just 1-cable car operating at that time. (+): No sweat, you’ll reach the top in few minutes.Buses are regularly boarding to the peak of the mountain. You can board the Yellow Bus outside Chungmuro Station (Line 3 or 4, Exit 2) or Dongguk University Station (Line 3, Exit 6). The fare is 500 (metro card) or 550 won (cash).